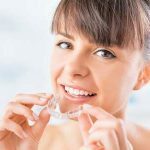 Flossing is one of the best things you can do at home to maintain your dental health, but it also seems to be one of the most challenging habits for people to build. 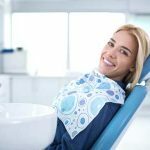 Ask any dentist or hygienist,and they’ll tell you if there was one thing they wish they could change about patient behavior, it’s that they’d be flossing at home on a daily basis in between their bi-annual routine checkups. According to the American Dental Association, you should floss on a daily basis. You can use traditional floss or any other kind of interdental cleaner that works for you. This would include plastic flossers or a water flosser. Flossing helps to prevent cavities and reduce your risk for gum disease because it removes plaque from between your teeth. Plaque is one of the things that causes problems for your dental health because it contains bacteria. 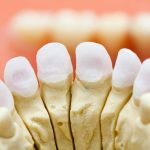 When you eat, especially high-sugar foods, the bacteria feed off the leftover food residue and releases acid that damages your teeth and creates cavities.The more leftover food and residue you’re able to remove from your mouth the better and the lower risk you have for cavities and other damage. When plaque is left on your teeth, it hardens into tartar, which accumulates along the gum line and is what your dental hygienist removes during your annual cleaning. Less tartar means less hassle when you have your twice yearly dental cleaning. Flossing is easy, only takes a few minutes, and can be done on a daily basis at home. It’s one of the best things you can do for your dental health. Are Water Flossers More Effective than Manual Flossing? Water flossing is the preferred method of removing buildup between teeth for many people because it’s less painful and doesn’t cause gums to bleed. It isn’t necessary, but if using water flossing is going to encourage you to floss more than manual floss, a dentist would encourage you to invest in a water flosser. Dentists also recommend avoiding flossing with anything other than floss or water. Many people tend to reach for the nearest tool to pick something out of their teeth after eating, but this can damage teeth and gums. Some dentists have treated injuries in patients who have tried flossing with cutlery, paper, and even safety pins – something no dentist or doctor would ever recommend doing! As long as you’re using a tool intended to floss, you’re doing a good job. 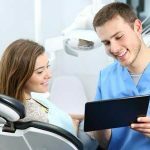 You and your dentist can discuss the best options for you based on your needs. Some people benefit more from using a water flosser than others, and your dentist can help you decide. The goal is to build a strong flossing habit and be willing and able to do it every day, no matter what tool you use. To view the variety of flossing products available, check out this information from Oral B. The easiest answer to this question is “whenever it’s convenient for you.” If you prefer flossing in the morning and you have time to do so during your morning routine, you can’t go wrong. Some people prefer to floss in the evening because they have more time before bed and because it allows them to remove all of the food that build up between their teeth during the day,so it doesn’t sit on their teeth all night while sleeping. Now, as for whether to floss before or after brushing, that’s up to you too. If you have a preference for flossing before or after brushing, go with what feels right and what you’re going to stick to doing. Getting it done is more important than when you get it done, so try out a few different variations in your routine to see which you like more. Some people find that flossing after brushing is a good way to finish off their dental routine, while others prefer to floss before brushing because they feel as if brushing then washes away anything flossed from between their teeth. To learn more about what you should be doing during your dental care routine, check out these tips from the Mayo Clinic. Flossing Hurts! What Should I Do? For most people, flossing doesn’t hurt. If there’s a problem with gum sensitivity flossing might be a little uncomfortable. Some people find that if they’re in the midst of a dental health clean up after years of skipping dental appointments, flossing becomes a bit of a struggle. However, over time the discomfort eases andso should the bleeding, if you experience any of that. Flossing should never be painful. If you’re avoiding flossing because doing it hurts, you should speak to your dentist as soon as possible. Painful flossing could be an indication of a serious problem with your dental health,and the sooner you address it,the better. Flossing is easy, but many people struggle with getting a comfortable technique. Start with about 18 to 20 inches of floss. Wrap a bit of one end around the middle finger on one hand and the majority of the rest of the strand around the middle finger on the other hand. Leave a couple of inches betweenhands to wrap around each tooth. As you work from tooth to tooth, you can transfer the used floss onto the finger with less and unwrap a bit of the unused floss from the hand with more. Guide the floss between each tooth and wrap it slightly around each tooth. Move it gently up and down, but never be too rough. The goal is to scrape the tooth and remove the plaque and debris, but not to overdo it. If you’re concerned that flossing once a day isn’t getting your teeth clean enough, floss more frequently, don’t’ floss harder. For a more detailed description of the flossing process, check out this guide from Oral B. If you have the time and desire, you can brush and floss after every meal. This prevents food from ever building up between teeth and keeps your breath smelling fresh.